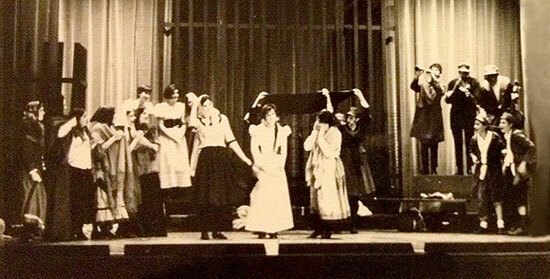 I remember it vividly: the excitement backstage as we prepared for the drama scenes performed during our annual Mittleshule concert at the Wilshire-Ebell Theater in Los Angeles. The boys dressed in peddler caps and long black coats with little beards pasted on our faces with crepe hair and spirit gum. The girls in long dresses with shawls over their shoulders and babushkas on their heads. Assembled on the stage, singing, dancing, and speaking lines in Yiddish, we must have looked like little reincarnated souls from the shtetl to our audience of parents and grandparents. Short sketches about the Wise Men of Chelm or Hershel Ostropoler. Play adaptations from stories by Sholem Aleichem and I. L. Peretz. This was our immersion in Eastern European Jewish culture and yiddishkayt, and it was created, coordinated, and produced by Sabell Bender, director of our Mittleshule, lead teacher and drama director. Sabell’s job was daunting. Not only did she have to make sure all the details were covered, the theatrical production pieces all in place, and the many participants (from elementary school through high school) organized and scheduled, she also had to prepare and rehearse us for our scenes. This meant that in addition to her two sons, who always had parts in our Yiddish skits and plays, Sabell had to travel from home to home to tutor the other young actors and actresses who had been assigned speaking roles. Because I loved to act, I often got a part and Sabell had to journey clear across town from West Los Angeles to the San Gabriel Valley to coach me. 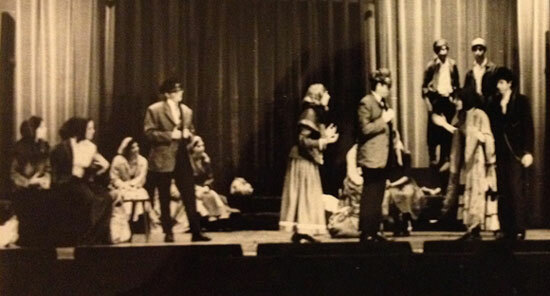 My mother would clear off the dining room table for Sabell’s arrival, and I would sit across from my teacher/director as she explained the scenes and made notes on my script using a stubby little pencil—it couldn’t have been more than two inches long—so that I would remember the meanings and pronunciations. 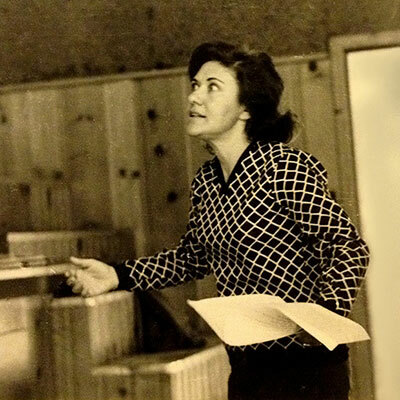 Often she would simply transliterate the Yiddish words into English: “Ich hob far eich, far i-yer tochter” (“I have for you, for your daughter”), underlining with her little pencil the words to stress and syllables to accent. When I look back now at how elaborate the Wilshire-Ebell concerts were it astounds me. Just looking at the pictures from “Motl Peysi on Ellis Island”: the size of the cast, the musicians, the singing and dancing, the props and costumes. And this was only part of the program. There was also a full choral performance as well! My acting days ended in college. The yiddishkayt is still with me.